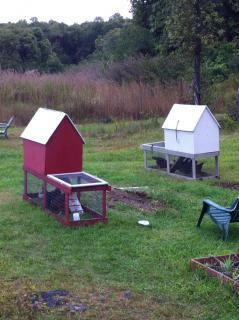 My chickens are currently in two chicken tractors. 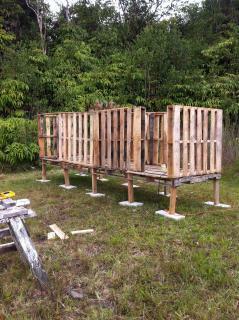 But we are working on building a bigger coop. 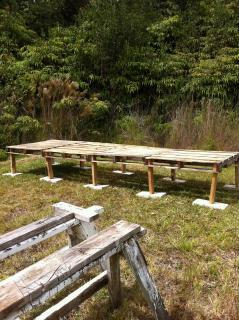 We used 4 pallets for the floor. 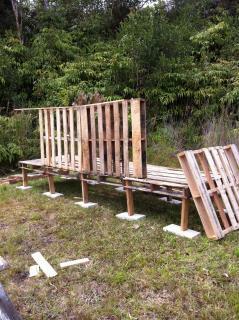 The legs are made of old wood we had. We did have to buy the blocks. 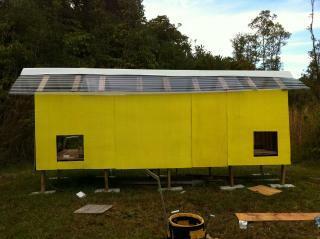 We did buy the roofing and paint- my husband HATES the color, but we live in a rain forest so I wanted something sunny looking. 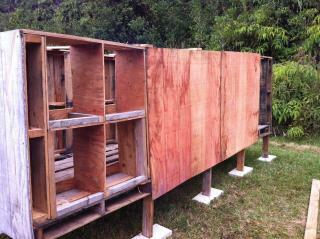 We have two chicken doors because I want two chicken yards. Hopefully while they are destroying one yard the other yard will be growing back. I wish we could let them free range, but our dog would eat them. Here is the view from the inside. 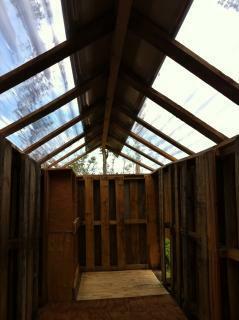 The roofing does not look great from the outside, but the inside looks pretty cool- and gets lots of light. We put plywood on the floor- we will be putting linoleum on top of the plywood. We have hardware cloth on the ends for ventilation. 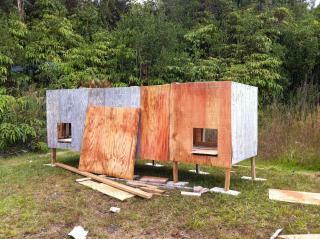 We still have to put doors on and roosts in. Plus, we still have to figure out the yard.